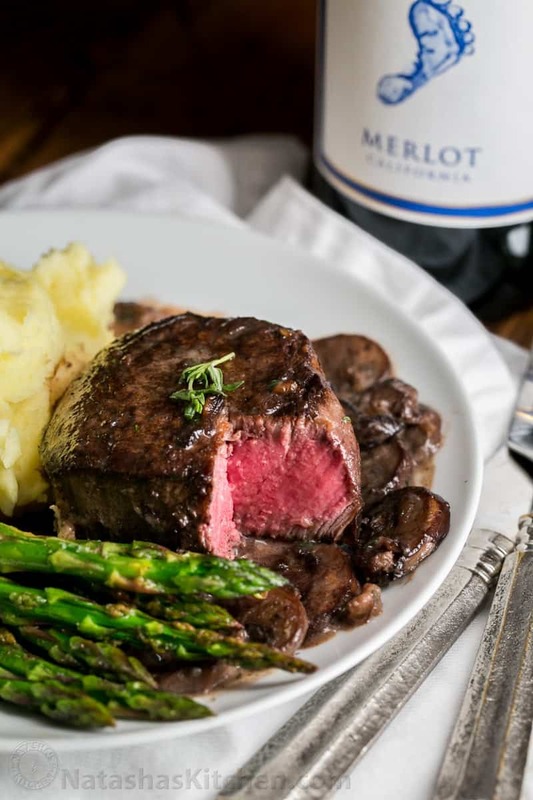 This is a very special filet mignon recipe, but it’s made in one pan and fairly simple to prepare. Cooking with wine adds wonderful depth of flavor to recipes. 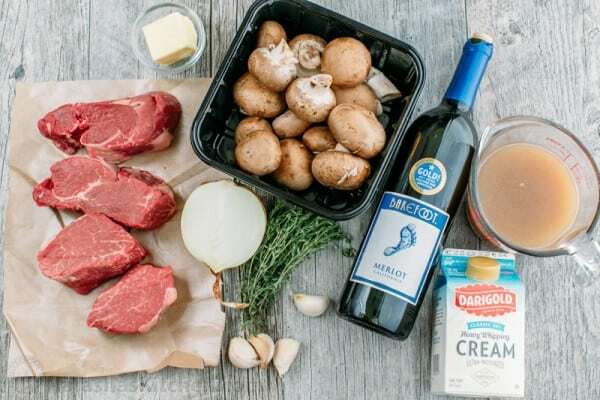 Thank you to our friends at Barefoot Wine & Bubbly who sponsored this recipe and sent me the bottle of Barefoot Merlot which really elevated the flavors of this dish. Pat dry steaks with a paper towel and season all over with 1 tsp salt and 1/4 tsp pepper. Place the same pan over medium/high heat and add 2 Tbsp butter and 1 Tbsp oil. 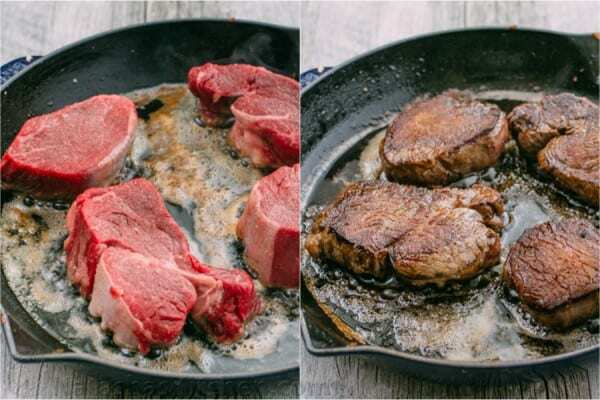 When butter is hot and finished foaming, add seasoned steaks to skillet and saute, turning over once with tongs, about 3-5 min per side for medium-rare (I cooked 5-6 min per side for medium doneness). 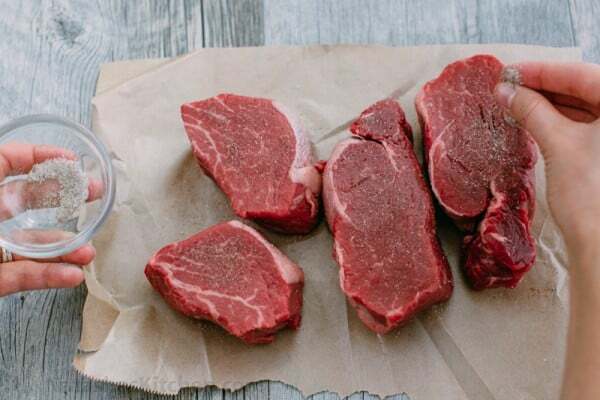 If steak is browning too fast, reduce heat to medium. 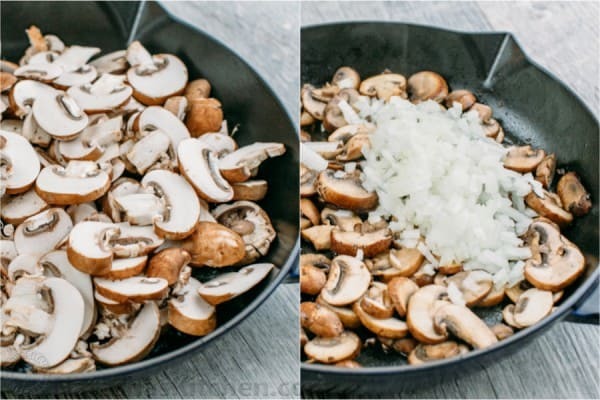 Use tongs to transfer steaks to the plate with mushrooms. Also, keep in mind thinner steaks than these will cook faster and thicker steaks can take longer. 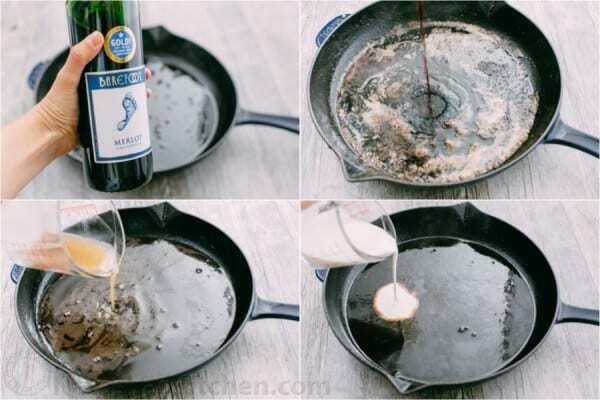 Add 1/2 cup Merlot and boil until reduced by half (3 min), scraping the bottom with a spatula to deglaze the pan. Add 1 1/2 cups broth and boil until about 2/3 cup liquid remains (5-6 min). Add 1/2 cup cream and boil until sauce thickens slighly (2 min). 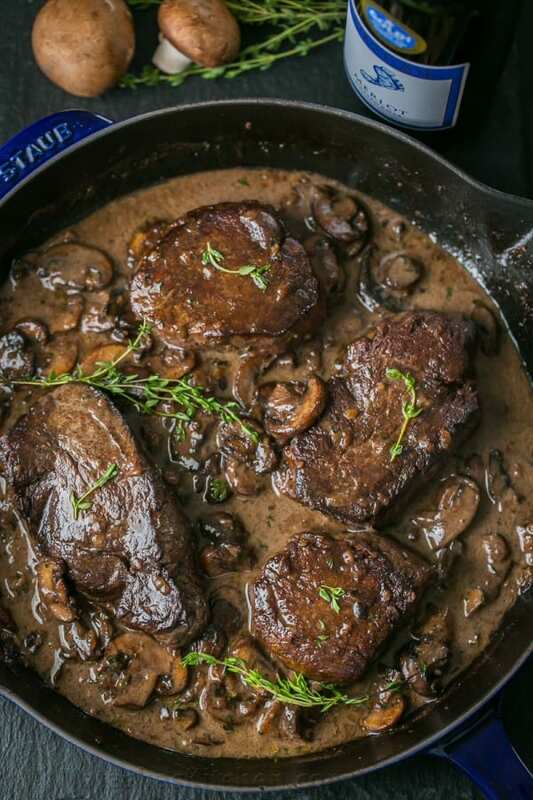 Return mushrooms and steak to the pan and heat until warmed through (1 – 2 min). Season sauce to taste with more salt & pepper if desired (I added about 1/4 tsp more salt).